The current value of the federal minimum wage -- $7.25 per hour -- is often compared to the cost of living, the average wage in the economy, or the productivity of the average worker. By all of these benchmarks, the current federal minimum is well below its historical levels. 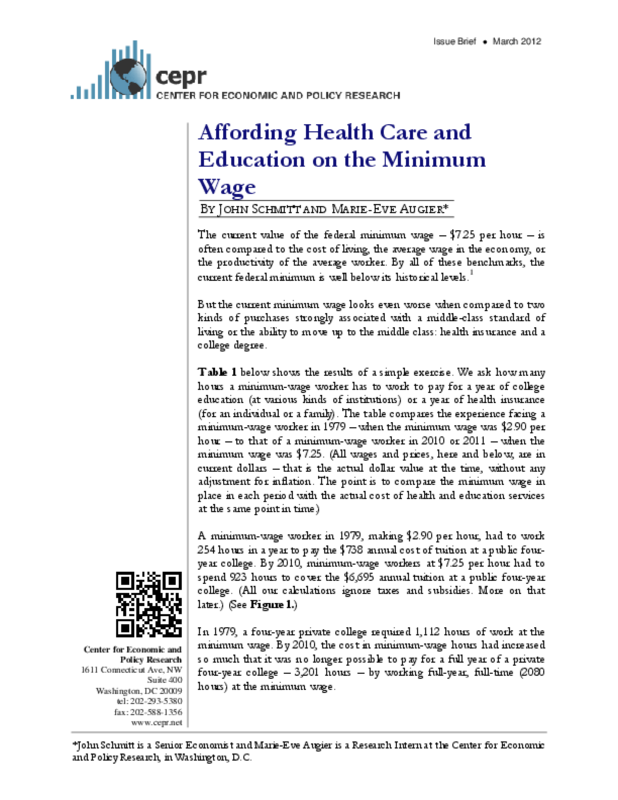 But the current minimum wage looks even worse when compared to two kinds of purchases strongly associated with a middle-class standard of living or the ability to move up to the middle class: health insurance and a college degree.